These Russell Stover Kris P. Pretzel chocolate Easter bunnies filled with crumbled pretzels are so delicious! And unique! 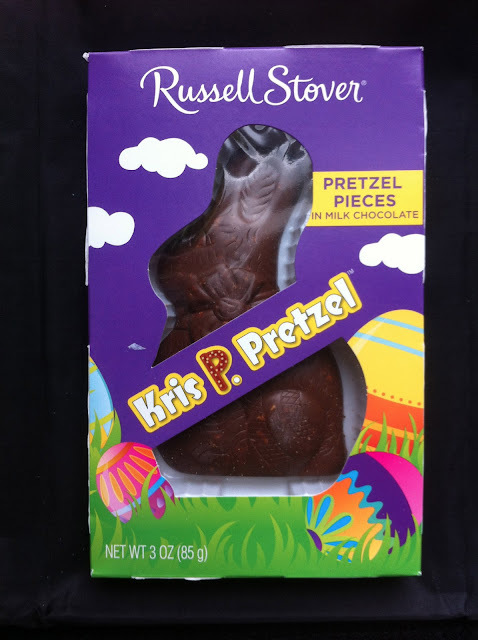 m&m's has delved into the chocolate and pretzel arena but this was very clever of Russell Stover to fill a chocolate bunny with the salty crunchy pieces. If anything, I wish that the chocolate had been dark rather than milk chocolate as I think it would have highlighted the pretzel a little more. But I've got no complaints and wish these were available all year long! I agree with all of the above! I was VERY surprised at how good this Easter treat tasted.